Hey y'all and Happy Thursday! Yesterday, both of my girls had their end of the year awards and I just couldn't be more proud of their accomplishments this year! They have both learned and grown so much which makes my mommy heart so happy. Today, I'm narrowing down six of my favorite purchases from the month of May here on the blog. Being a life and style blogger, I definitely purchase more items in a month than I would if I wasn't running a blog. So, I wanted to share what I purchased last month that I really think is worth your money because I've used it for hand and I can honestly report back on the quality/style/fit of these items. 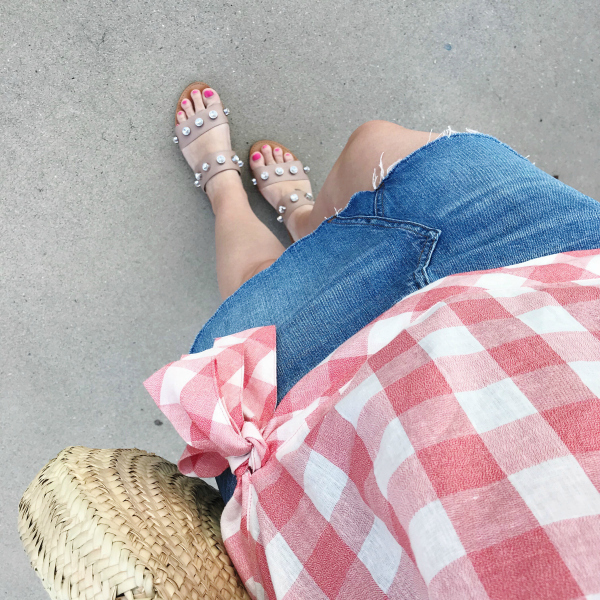 This pink gingham top has to be my most favorite purchase last month because I have been hunting for something that was pink and gingham! The side tie made this top even better. I'm typically between a small and a medium in most tops so I got a size 6 in this one. I love it! This shirt is so perfect for vacation! I've packed it for every trip since I got it and I'm planning to bring it to the beach this weekend. It runs true to size. I bought this kimono at the end of May and I've already worn it three times! The colors are so pretty and I love the high/low style. 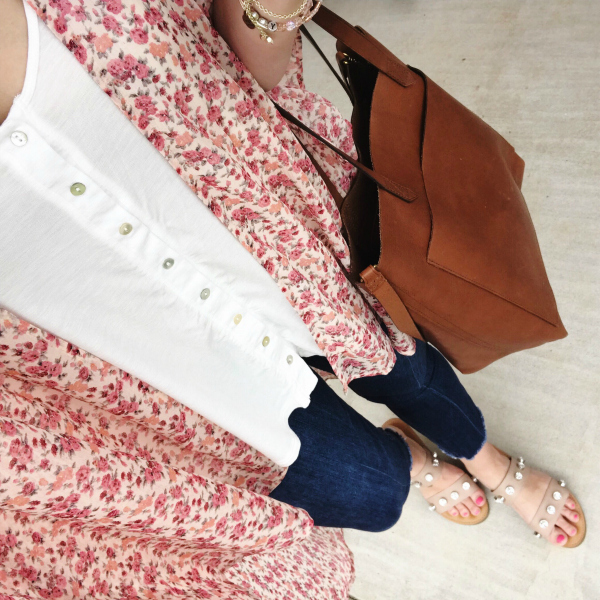 This pretty pink top will definitely be a summertime favorite. I love all of the details and the fabric is so comfortable. I sized up to a medium for the best fit. 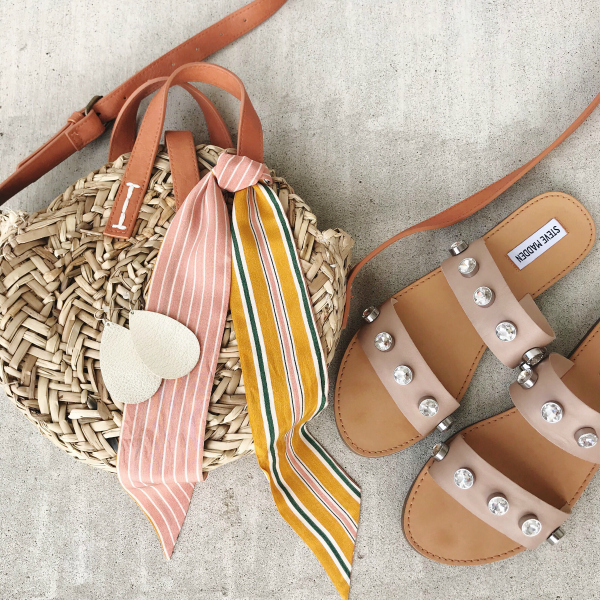 Aren't these sandals fun?! I love the rhinestone detail and they are super comfortable. I sized up a half size for the perfect fit. These shorts are so comfortable and the colors are gorgeous! I found the fit to be true to size.